At NETWORK REFRIGERATION & AIR CONDITIONING PTY LTD, we believe careful planning and implementation of a maintenance program is important. We maintain an ongoing concern for our clients' costs for both planned and unplanned maintenance and service, and the sensible preservation of the clients' asset. 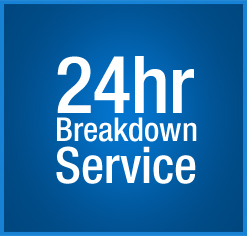 Response times to a breakdown are critical to the successful operation of many of our commercial clients businesses, and therefore we have in place the provision of a 24 hour - 7 Day service, with low response times for clients. For commercial clients comprehensive system evaluation (Condition Assessment) reports can be prepared incorporating digital photographs showing equipment condition, highlighting want of repair, providing detailed costing for repair / remedial works, and estimates of remaining equipment life and budget equipment replacement costs. A report of this information can be a valuable budgeting tool. NETWORK REFRIGERATION & AIR CONDITIONING PTY LTD takes Workplace Health and Safety issues seriously, as do our clients. Company Occupation Health and Safety Policy. Contractors Site Details (includes insurance information). MSDS data sheets are available for all chemicals used. Work Method Statements for Maintenance as well as project tasks. When you choose NETWORK REFRIGERATION & AIR CONDITIONING PTY LTD for all of your home comfort needs, you gain an expert heating and cooling partner for the life of your system. We can assist you in providing annual servicing to support your warranty. Plus, we're always on hand for breakdown callouts or to answer any questions about your system. Copyright © 2011 Network Refrigeration & Air Conditioning.com. All Rights Reserved.